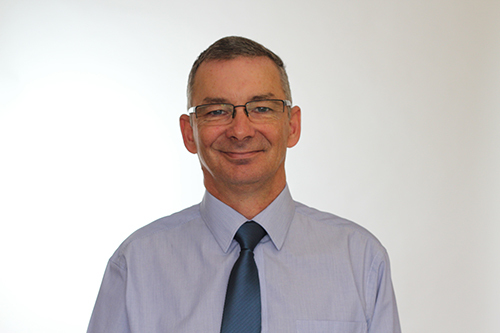 First Job: In 1979 I joined Graham Holmes Plastics (now Astraseal) as a trainee fabricator. When did you join your current company: In 1998 I started a small business repairing and installing PVC-U products, and whilst aspects of being a self-employed sole trader were very enjoyable, it can be a lonely and difficult life. I had been a customer of Glazerite for around ten years and in 2011 became an employee! I joined the Board of Directors in 2012 and the Group Board in 2016. Most useful/favourite gadget: I’m often at other sites or with suppliers and customers and thankfully we enjoy good remote connectivity to our business management system via tablets, laptops and phones. The Surface Pro has become an almost indispensable tool and is at hand at all times. Business person you admire: Lord Alan Sugar and Sir Richard Branson, both of whom started from very humble beginnings and built enormously successful business empires. Recommended hotel for business: I tend not to stay away from home very often, but when I do, will generally use a Premier Inn. .
Best business decision: Coming to work for Glazerite. Other interests: Outside of work I enjoy the countryside, gardening and am a keen amateur photographer, which has led to a number of photographic projects at work too. My wife and I also enjoy eating out, the favourite venue being our local Italian restaurant as we really enjoy the atmosphere as well as the food. My day starts at around 6.30 am when I review the emailed reports from our night shift managers and the first of our regular automated reports. On arrival at the office, and after dealing with anything urgent, I will prepare for our daily operations meeting, which is focused on customer service. All department managers attend this meeting and each site has one every morning. The rest of my day is spent dealing with a variety of issues across all areas of the business, liaising with and meeting customers and suppliers and regularly visiting our other factories in Wellingborough, Bolton and Peterborough. I am based at the Rixon Road factory in Wellingborough but as Operations Director have responsibility across the group. We moved into Rixon Road in 2009 and extended the site to its current 48000 ft2 in 2011. The production facility is modern and many of the processes are automated with full traceability for a product throughout its lifecycle, accessible in real time. Our business management system is at the core of everything I do in my role and my desk, like all others at Glazerite, is dominated by twin screens, which makes multi-tasking easier. Glazerite’s Head Office in Wellingborough, Northwest Division in Bolton and East Division in Peterborough factories manufacture our core products, including casement and tilt and turn windows, residential, french and composite doors. We also manufacture fully reversible windows at Bolton and Halo flush sash windows at Peterborough. The Peterborough site (Glazerite East) was acquired in 2016 and we have since invested heavily in machinery, including new welding and corner cleaning equipment, people, and computer systems and equipment. The installation of a leased line to directly link the site to our main servers proved particularly challenging but has finally enabled total visibility and traceability and allowed us to integrate the site into the group and mirror the company’s working practices. As a company we have always been big advocates of the investment in our IT infrastructure as it’s a crucial part of the operations across our 4 manufacturing hubs. Our systems were tested to the max last year when we were the victim of a ransomware attack. We were hit by the same virus that put many of the large corporations and public services on their knees. With the advanced backup systems and disaster recovery procedures we had in place we were actually fully operational again within 27 hours. Even more importantly the disruption to our customers was minimal and we delivered all scheduled orders and business was pretty much as usual, apart from the fact that behind the scenes our IT team were working round the clock to ensure this. More recently, in 2017, we opened a new 32,000ft2 ‘Specials’ factory in Wellingborough to satisfy the ever growing demand for Residence 9 windows, Veka Vertical Sliding Windows, Veka Imagine Bi-folding Doors and Veka Imagine Sliding Patio Doors. Aside from the necessary investment in the building, including roof renewal, an upgrade to the electrical supply, new lighting, heating, security system and of course new windows, we also purchased new machinery and peripherals, and computer systems and equipment. Glazerite have recently introduced four new products – Residence 7 windows, Residence 9 doors, Veka mechanically joined vertical sliding windows and the Veka Smartfold door. The factory produces these products for all other sales sites, and they are transferred between factories daily for onward distribution to our customers via our own transport. Across the sites, the management of the operations is very similar and in fact we can pretty much switch production of any of our products to alternate sites based on demand at any point. The specials factory is a little different though with the type of products that are going through the site they are a lot more specialist. The manufacture of these products is a lot more labour intensive with hand finishing and far greater attention to detail. This year further investment has also been made in delivery vehicles, and we have just installed a new transom cleaning machine at Rixon Road. We keep a close eye on the market, trends and demand to ensure we are in a position to service our customers in the right way at the right point. The popularity of colour is one that certainly springs to mind from the last year as we’ve seen a sharp increase in demand. The Veka/Halo variations range is based on 29 foil colours and in the last few months they’ve also been able to significantly improve their lead times. All of the above has not come without its challenges for us though and has called for efficient materials management more than we’ve ever needed it before to ensure we are in a position to service the demand effectively. The same can also be said for FlushSash, the growth now and anticipated is massive and we’re able to accommodate this by manufacturing 3 systems at different spectrums of the budget across 2 of our sites. The Halo FlushSash was introduced to our range through the acquisition of Citybeads in 2015 and in January of this year we launched the R7 system, which is manufactured at our specials factory. Integration was fairly seamless with this with some new tooling and setup and training across our staff, and as we’ve been manufacturing R9 it was not too difficult to bed the new range in. The fact that we can offer the FlushSash as welded or mechanical covers all bases too as the mechanical joint replicates the authentic timber frame that many heritage installations require. We’re in a perfect position now to accommodate growing requirements that are imminent for these products. Every point of our business is geared to offering our installers the best possible products and support, our hardwork paid off last year in winning the G17 Fabricator of the year. From a customer perspective at the Independent Network AGM in June, 5 of 6 of the business awards were claimed by Glazerite installers, all of which is testament to the offering we give them. Whilst trading conditions have been variable over the last few years, and are increasingly difficult to predict, we have a continued improvement plan to deliver over the next three years with significant investment to be made at all sites. Market conditions aren’t likely to get any easier with homeowners being hesitant as a result of Brexit and political challenges. That aside, we have a strong plan for growth in place for this year which can only be achieved by ensuring that our product mix and our operations can accommodate the growth we are looking to achieve. Staffing is always a major area of concern for any Ops manager/director and it’s no different for us. To achieve our plans for growth we have to maintain, train/upskill and recruit a strong and reliable workforce across all sites and areas of the business. Unfortunately our industry still has a bit of a stigma attached to it, although I would say it is much improved over recent years. This still makes recruitment difficult and the challenge of a change in perception and drive to bring new young blood into the industry with some great potential for successful long careers is certainly an issue.